Researchers at UCF are developing a new tool to help diabetics manage their daily lives more easily. Controlling diabetes is often a daily chore for patients with the disease, but researchers at the University of Central Florida are working to make one type of treatment more manageable. 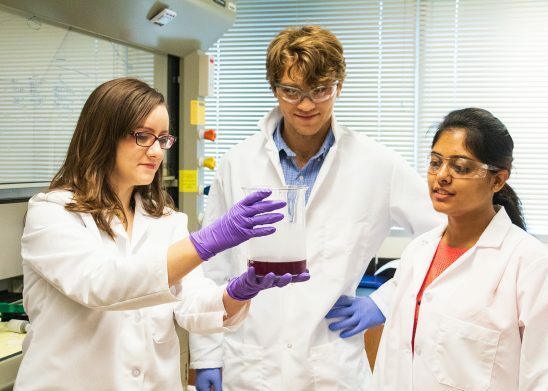 They recently received a nearly $400,000 grant from JDRF, formerly the Juvenile Diabetes Research Foundation, to create a cannula with a coating that resists infection and encapsulation. Cannulas are tubes inserted into the body under the skin via a needle for uses such as administering drugs, and in the case of diabetes treatment, insulin delivery via a pump. The insulin-infusion cannula suffers from complications of inflammation and risks of infection around the cannula that lead to it being walled off from the body, which is also known as encapsulation, and ultimately reduces the efficiency of insulin delivery. As a result, changing the cannula is often needed every one or two days and can be painful and difficult for patients, especially children. However, the new coating being developed could allow diabetes patients to go from needing to replace their cannula about every two days to possibly only once a month. 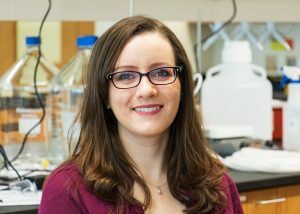 “Most of the commercial cannulas that patients are using right now do not really have any mechanism or way to reduce the infection or encapsulation issues,” said Elizabeth Brisbois, a materials science and engineering assistant professor in UCF’s College of Engineering and Computer Science who is leading the research. The coating Brisbois is developing uses nitric oxide to ward off infections and prevent encapsulation and is a molecule produced naturally in the body as part of the immune system for tasks such as fighting off bacteria. “If we design these coatings to mimic the nitric oxide release that happens in our body, then we can also kill the bacteria and reduce inflammation, and ultimately help make these implanted medical devices more biocompatible,” she said. The coating has proved successful in the lab, and the new grant will help fund how well the coatings will work on cannulas used in living systems. Hitesh Handa with the University of Georgia is collaborating with Brisbois on the research. UCF graduate students Manjyot Kaur Chug and Corbin Feit are also assisting. If the coatings prove successful, eventually they will be tested in humans. Brisbois has also studied the coating on other medical devices, such as intravascular catheters, extracorporeal life support and wound-healing patches. Brisbois joined UCF in 2017. She received her doctorate in chemistry from the University of Michigan and worked as a National Institutes of Health postdoctoral fellow in UM’s Department of Surgery. She is also a member of UCF’s Prosthetic Interfaces research cluster that works to develop new and better devices and implants for use with the human body.